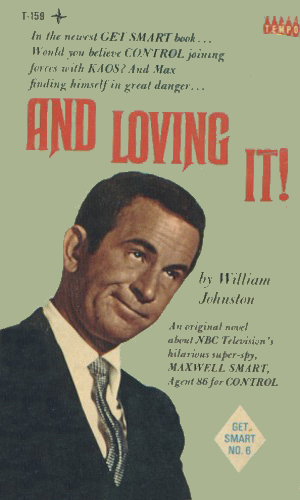 Maxwell Smart is an agent for CONTROL. 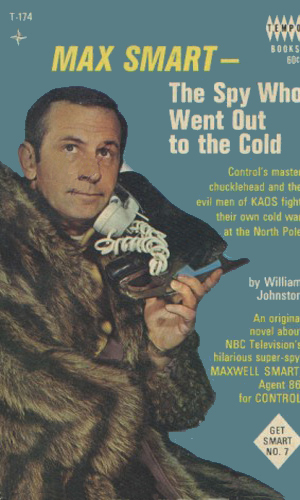 In September, 1965, Buck Henry and Mel Brooks gave the world Maxwell Smart and with him a wealth of one-liners and an amusing look at a subject that could use a good ribbing. Initially it was ABC who heard the concept and okayed taking it to the pilot stage, even though it would be NBC followed by CBS that actually would air the series. When Brooks and Henry approached ABC, they were given the go-ahead for a pilot. 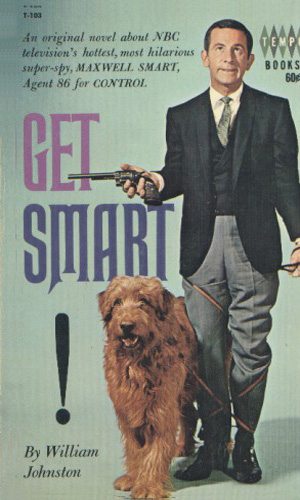 Hiring Tom Poston to play Maxwell Smart, they created the pilot and took it back to the network which deemed it not funny enough and rejected it. Still believing in their idea, the pair next went to NBC who saw things differently and accepted the show. The only change they requested was in the starring role. 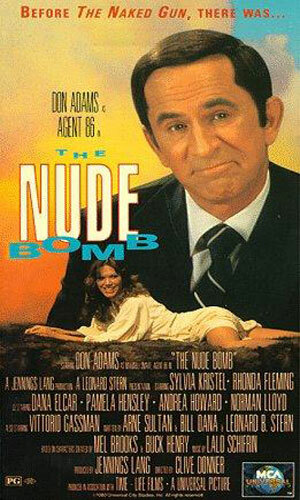 Don Adams had been quite popular in the several parts he had played in NBC comedies and the network wanted him to get a shot at lead. He was an expert marksman, a deadly karate expert, a renowned lady's man, and a man with an uncanny nose for trouble. At least, he got close to those things. Missed by that much. Most importantly about Smart is the fact that he works closely with 99. Played by the delectable Barbara Feldon, this highly intelligent and extremely resourceful woman usually the reason that Agent 86 survived the loony things he attempted. Nevertheless, she adored Smart and was happy to continue to work beside him even though he invariably hogged the credit. Eventually she would even marry him and raise two children with him. Amazing patience! A young woman named Rose, a checker at a local grocery, had created the world's most sophisticated computer while trying to put together one from a kit and not liking the directions. It decided to walk out on her. Now Max is in a race with agents from FLAG to find it first. 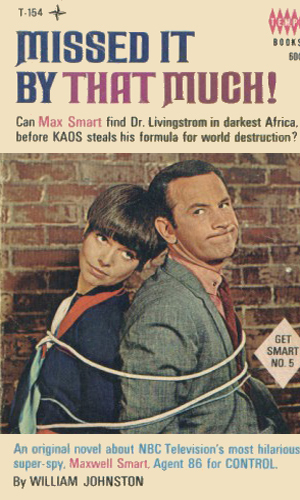 Aided by both 99 and Fang, Maxwell Smart is sent out to locate the elusive Dr. X, inventor of an invisibility formula. Wanting to blend in on a cruise across the Atlantic, Max assumes the role of a space scientist as he competes with KAOS in locating six missing and invisible guinea pigs that prove the formula does work. There was only one copy of the KAOS Dooms Day Plan and CONTROL has it. Unfortunately, they won't know what exactly it is until Miss Twelvetrees is able to break the code. Since the KAOS master spy, I. M. Noman, is said to be after her and the Plan, Max is assigned the task of safeguarding her until the code is cracked. CONTROL is in possession of KAOS's Little Black Book containing the locations of all major bases and identities of all known agents. Unfortunately, KAOS has the same book belonging to CONTROL. Each has the ability to bring down the other but who will get there first? 5 Missed It By That Much! Max and 99 are sent on their most perilous mission to date, deep in the heart of Africa where they must find and save Dr. Livingston, inventor of the secret formula 'Brassica Oleracia-212' before KAOS can get to him, obtain the formula, and use it to take over the world. An Indian snake-charmer learns how to hypnotize anyone into believing anything. Both CONTROL and KAOS want him on their side. Unfortunately, he wants on neither side and has the power to keep it that way. Max and 99 must join forces with a KAOS agent but can anyone trust anyone? Max and 99 are given the task of escorting Professor Wormser von BOOM to a secret lab at the North Pole but, in the interests of security, they must take a bizarre route to throw off the KAOS agents after him. This means heading into the Sahara, traveling the Nile, and even visiting Russia. Agent 99 and Hymie the Robot were on an assignment against two KAOS agents, Ways and Means, when Hymie is captured and brainwashed. It is Max's duty to find the errant robot and return him to CONTROL. When Max and 99 are assigned the job of trailing several top KAOS assassins to a secret convention, they find themselves on a train where the passengers are disappearing with great rapiditiy. KAOS is certainly at work but to what end and can Max find the answer before he vanishes himself. The Control team goes after a terrorist with a bomb that destroys clothing. 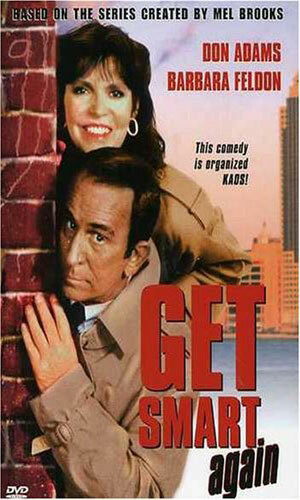 Maxwell Smart is pulled from retirement to help. This was planned to be a tv-movie but the changed to a theatrical release and then soon was shown on tv. Agents 86 and 99 are brought back again from retirement because KAOS is back as well, this time with a weather machine causing trouble. 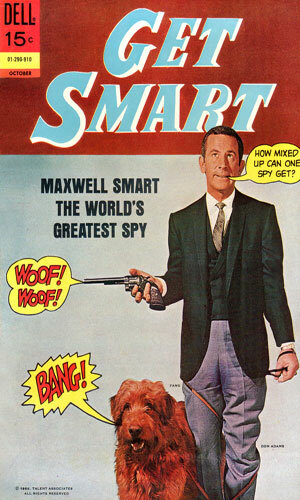 Maxwell Smart is quite intelligent but hardly the dashing, sophisticated agent he would like to be. He has to learn fast to stop a terrorist attack by a Russian spy organization. 44 The Whole Tooth and . . .
124 Is This Trip Necessary? 135 What's It All About, Algie? 137 Do I Hear a Vaults? 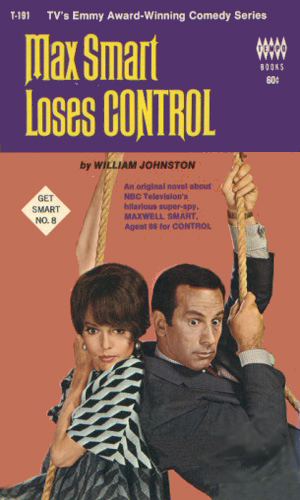 With Maxwell Smart as Control, what could go wrong? Well, with his son, Zach, who is hardly the brightest bulb in the room, lots. KAOS is planning to steal the Du-Traculon fabric during a fashion show. Zach and his partner, Agent 66, must stop them. A new casino has opened and it is quite popular. It is also run by KAOS and that organization never plays fair. Zach and 66 must bring it down. An African president is in town to meet with Congresswoman 99. CONTROL is hunting the Brain, a KAOS agent able to control minds. Zach and 66 try to stop KAOS's control of a record label and cease their using hypnotic messaging in their songs. The Turtle is an assassin hired by KAOS to kill a visiting African president returning on a plane to his country, accompanied by 99. Zach has fallen for the lovely Jessica but visiting her at a lighthouse, things go bad when she imprisons him. Her father is KAOS head agent, Siegfried. 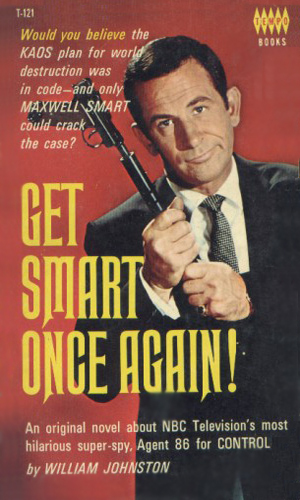 Maxwell Smart must get involved. Zach and 66 pretend to be doctors to find out about KAOS's plan to fund hospitals. It turns out the evil organization is harvesting organs. Dell and Gold Key were two competing comic book publishers that loved to capitalize on popular television shows, creating comic books to tie-in with them. 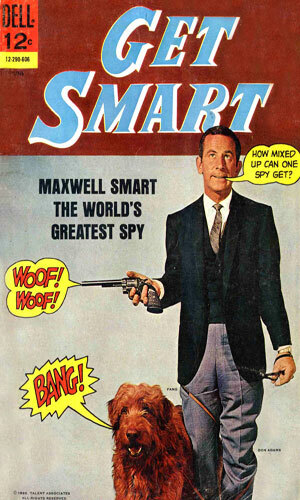 In the summer of 1966, a year after the viewing public was introduced to Agent 86, Maxwell Smart, Dell came out with 8 issues featuring the bombastic spy. 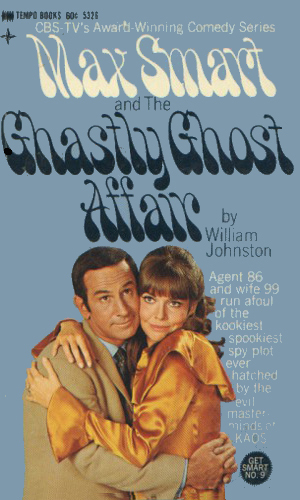 To be more accurate, there were 7 original stories presented from June, 1966 to August, 1967 with the 8th issue being a reprint of the first coming two years later. 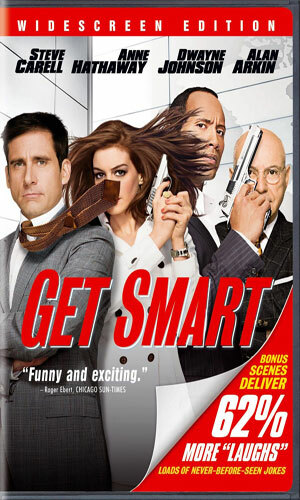 To get a secret code, Maxwell Smart must find a bald-headed man wearing a toupee so he goes to a convention of bald-headed men. What could be the problem? A KAOS agent steals the plans for the XBF-117 by using animated dummies of Agent 99 and the Chief. 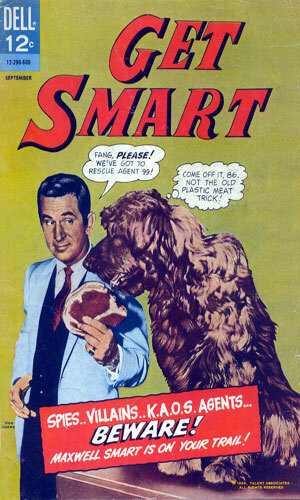 Maxwell Smart is determined to get them back. A bomb made of rare "splenium" is capable of bringing down the largest of buildings. KAOS has created it. 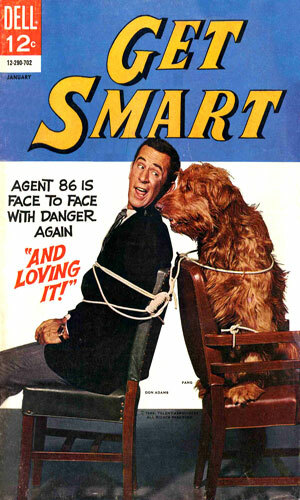 Maxwell Smart is tasked with capturing it. If you weren't an avid fan of the television series, there is no reason to read these nine adventures and, even if you are, there really isn't that much of a reason. The writing is fun, the humor certainly there, and the characters were totally true to the small screen images. Still, without an affection for the show, they are not for most people. 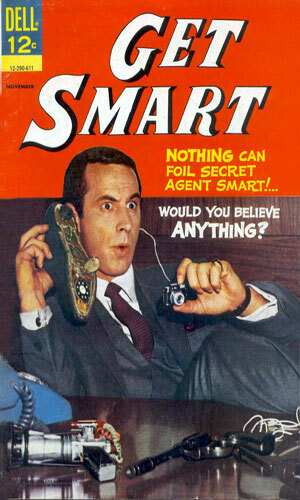 The biggest reason, I would say, is that the enjoyment of Get Smart was really watching Don Adams be Maxwell Smart. The expressions he would make. The gestures and the one-liners and the silly way he tried so hard to be as good as he thought he was. Reading about it only works if you can see him in your mind and that isn't quite the same thing. That and there is no way any author could do justice to the beauty and grace and indescribable quality that was the lovely Barbara Feldon, a woman who made 99 equal a 10. Now here's an odd thing. I grew up in London in the early 1970's. 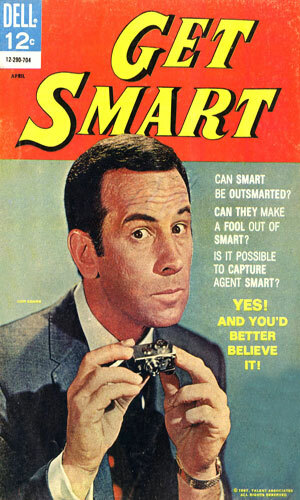 I'd never seen Get Smart, but the newstand around the corner from where I lived had a hell of a lot of US paperbacks, mostly a few years old, that had been imported cheaply as ballast (not that I knew this at the time). I read them indiscrminately, picking them up on nothing other than a whim. 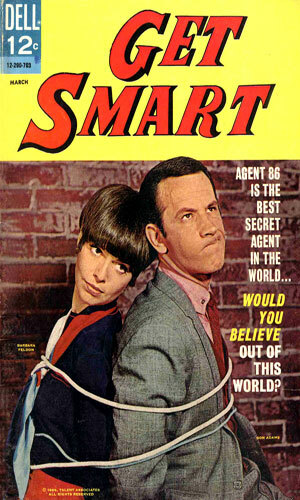 I was seven when I read my first Get Smart, and most of them followed in quick order. 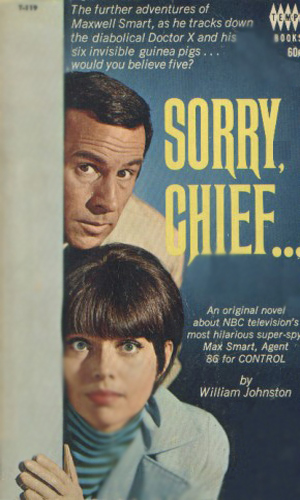 I loved the humour, loved the characters, and loved the style - I'd never seen anything like the way Johnston cuts to dialogue, shifts scenes, plays with the medium. Of course, in later years I realised this was nothing new. I've read a lot of them in those later years, and stil like them, though time has not served them that well. 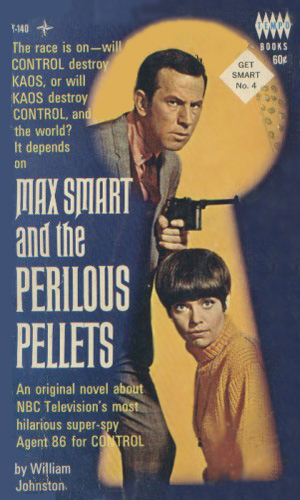 But here's the odd thing - when I finally did see the TV show and the reunion movie, I didn't like them as much as the books simply because I'd made up my own Max Smart in my head at seven, and although Don is a brilliant comic, how could he ever match that? ?